BuzzLike is a brand new, unique, cutting edge viral script for facebook. This is not a rehash of someones else PLR script. 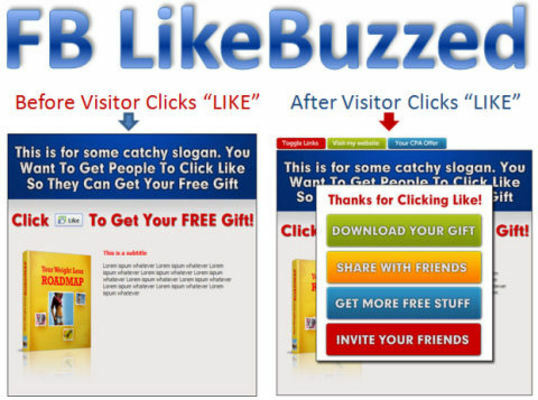 BuzzLike makes it simple for you to get more likes for your fan page by using Facebook Sharing, Invites, Hidden Content, Product Downloads, and Opt-in Integration â all from ONE easy to install script. Sounds pretty comprehensive, is it easy to set up? BuzzLike is very simple to set-up and customize. I have created a full and detailed installation guide as well as access to my personal support system.